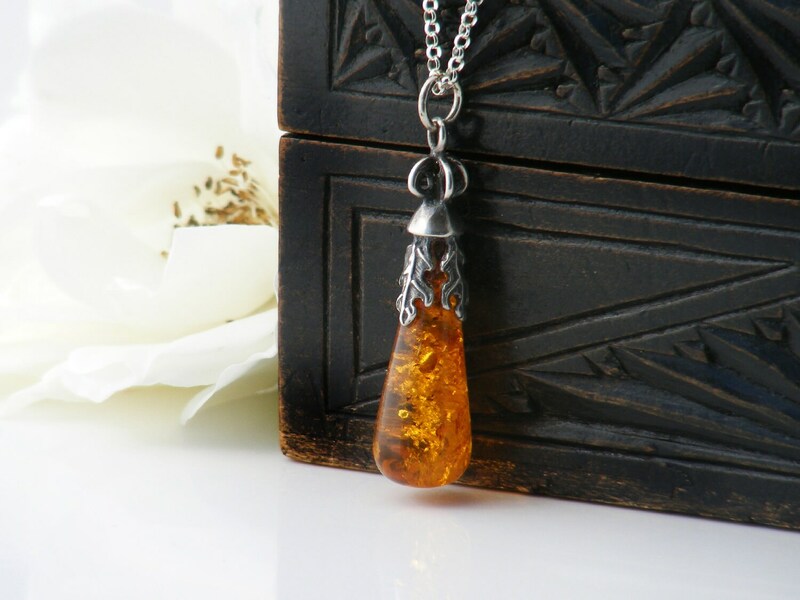 An exotic Baltic amber and sterling silver pendant, a teardrop of clear honey gold with lots of fascinating inclusions. 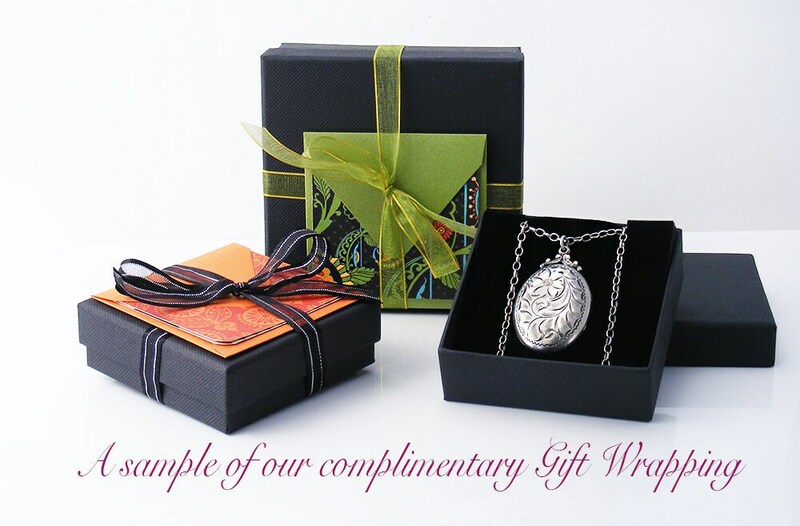 The ornate silver cap is well made and nicely designed leaves hold the drop perfectly. 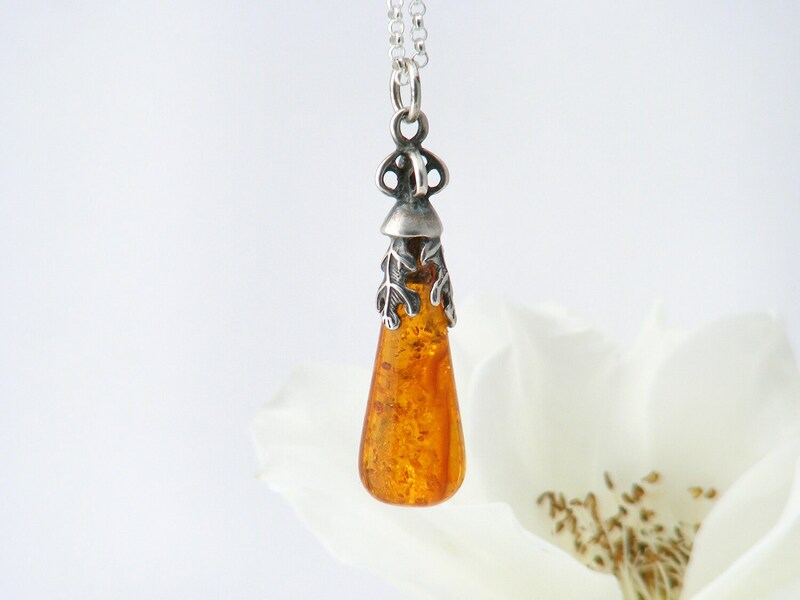 The amber teardrop has the golden floating 'lily pad' inclusions sought after by collectors of amber as well as some tiny frond-like pieces of plant material as seen in image #2. Sterling silver, unstamped but testing as 925 sterling and guaranteed as such. 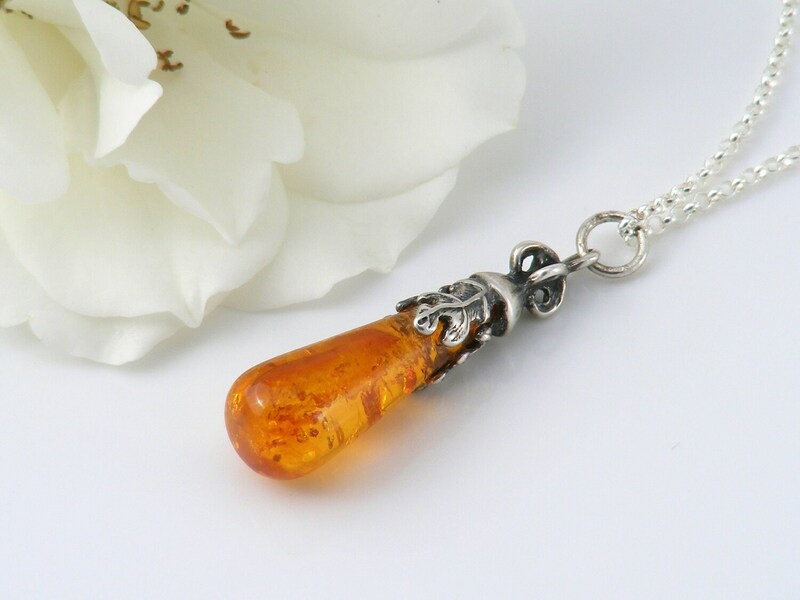 Baltic amber, highly polished and with lovely luminosity. 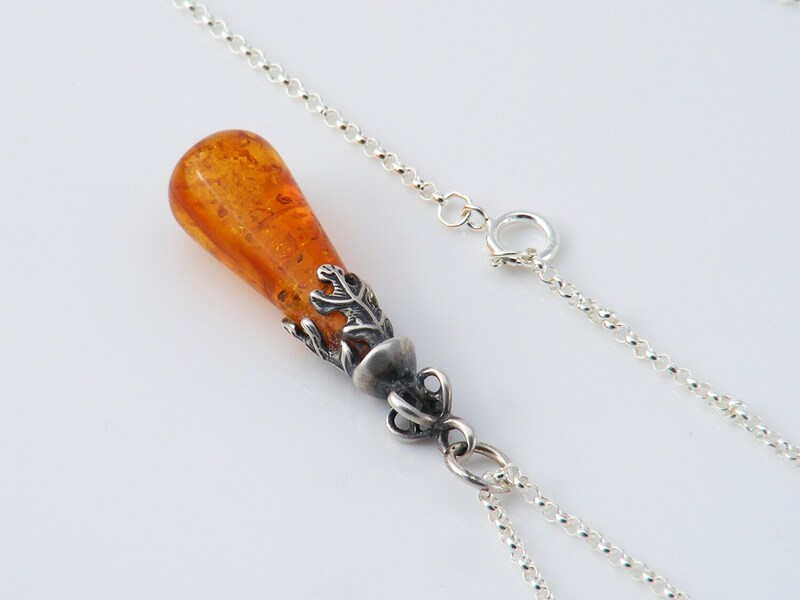 Pendant Size: .5 x 1.3 inches or 12 x 33mm in size and the total drop from the chain is 37mm. Presented on a new 20 inch or 51cm sterling silver chain, stamped as such on the clasp. Photograph #3 shows the pendant and chain on a life size torso. 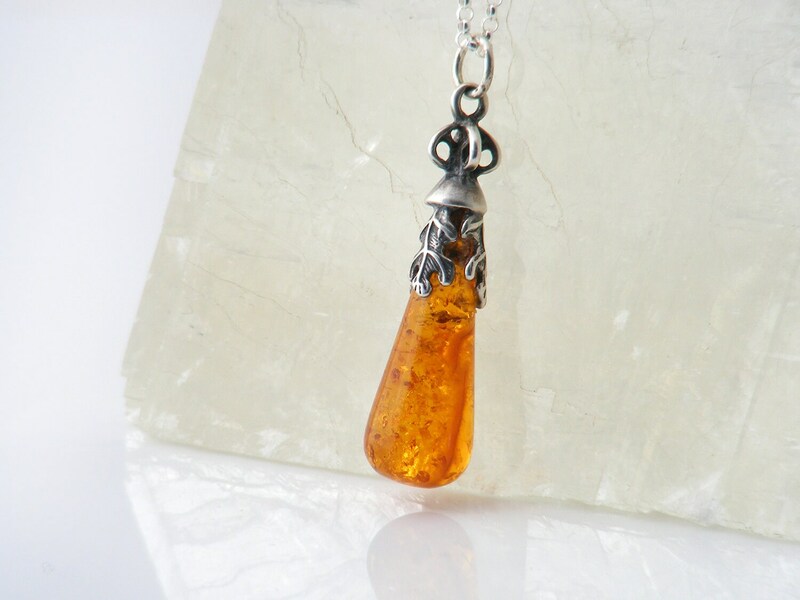 The cap on this pendant is wonderful, more of crown than a bail! 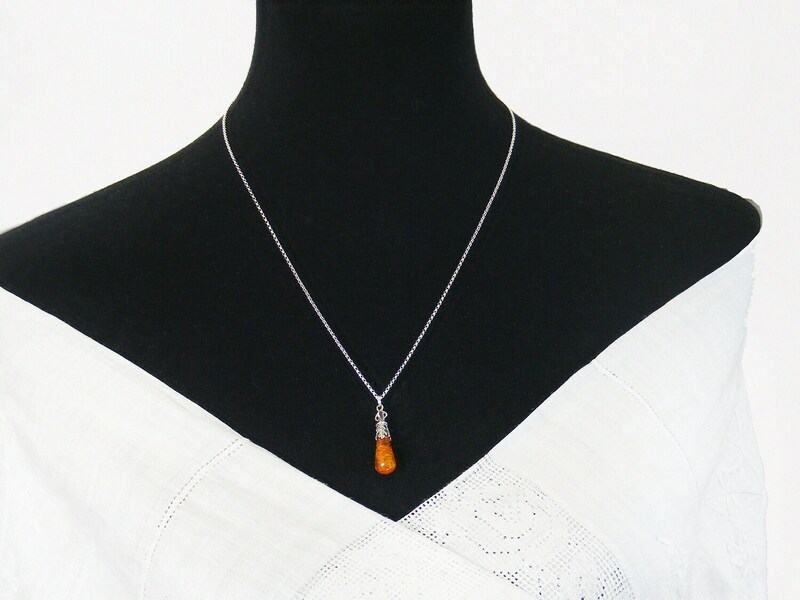 Perfectly suited to the teardrop form.